Hello all, I am Nancy Eckert from Fishers, Indiana, USA and I am so happy to be here with you today. 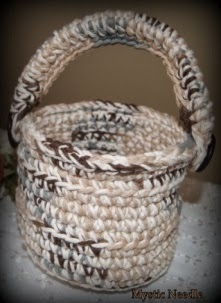 I hope you enjoy taking a moment while sipping your tea and share my interest in Crochet!! and make something to wrap around myself or to create a wonderful gift for someone special!! and use to sit on the floor and watch my grandmother crochet beautiful lace tablecloths. when everyone else in my family was right-handed. and teaching me how to crochet right-handed. It was a challenge but I did learn to crochet and to this day still LOVE IT!! 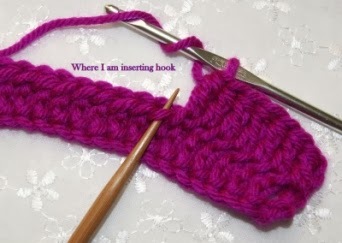 I design and create many projects with a wide variety of hooks and yarn/thread. and I really enjoy crocheting with a wide variety of different weights of yarn. ou can find some of my work at my Etsy Shop - MysticNeedle.etsy.com. 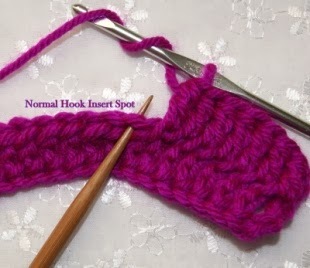 I still prefer to crochet with an aluminum hook, Susan Bates being my hook of choice. that are out there but just haven’t made that leap. It’s kind of difficult when you have two cases full of all sizes of hooks to buy more. However, I know it is just a matter of time before I purchase a new one!! Any recommendations?? I also really like to experiment with different styles of stitches. and/or what would work best with it. US terms, which I crochet inserting through a different loop. 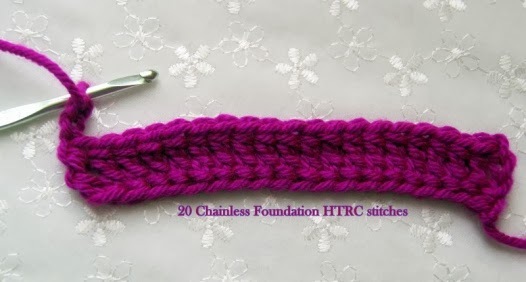 How to Make a HTRC: In my example, I begin by crocheting a chainless foundation HTRC stitch. Here I completed 20 stitches. Chain three (3), turn your work. wrap yarn and pull through last three (3) loops on hook. 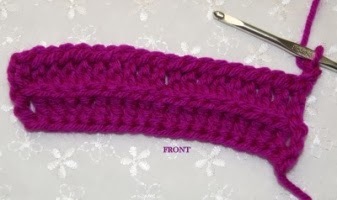 Completing a Half Treble Crochet. What I do differently is where I insert my hook. that is directly below the loops that form the very top edge of your work. 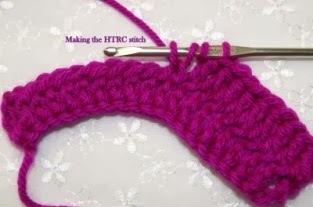 Then I continue making the HTRC exactly like the instructions above. 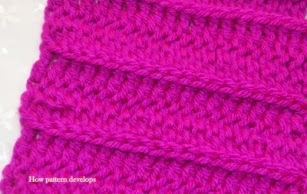 By inserting my hook below the top loops, I get a cool looking ribbing affect. 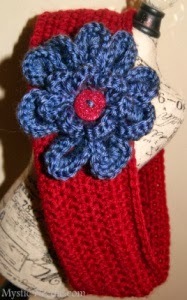 It’s perfect for a scarf or whatever you might want to design and create!! 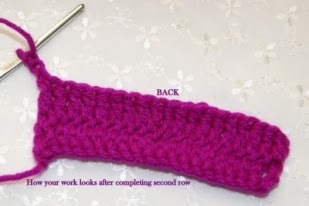 I hope you will give it a try the next time you pull out your hooks and yarn and CROCHET. and I hope you all enjoyed visiting with me. You can read more about my passions and interests on my blog stitch4ever.com. 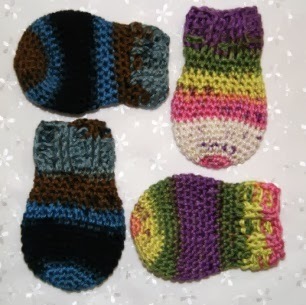 or check out Ravelry.com and follow me as Mysticmeems!! Thank you ever so much Nancy! 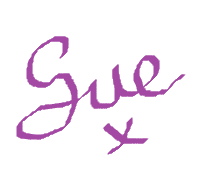 I hope you'll all thank Nancy and check out her sites! Thanks , Nancy.That was nice. I be right over to check your Etsy shop. Great blog, learned something new today. Thanks.